Knott’s. No I am not referring to the those annoying knots we may get on our hair, or even those on our shoelace, but the amusement park, Knott’s Berry Farm! 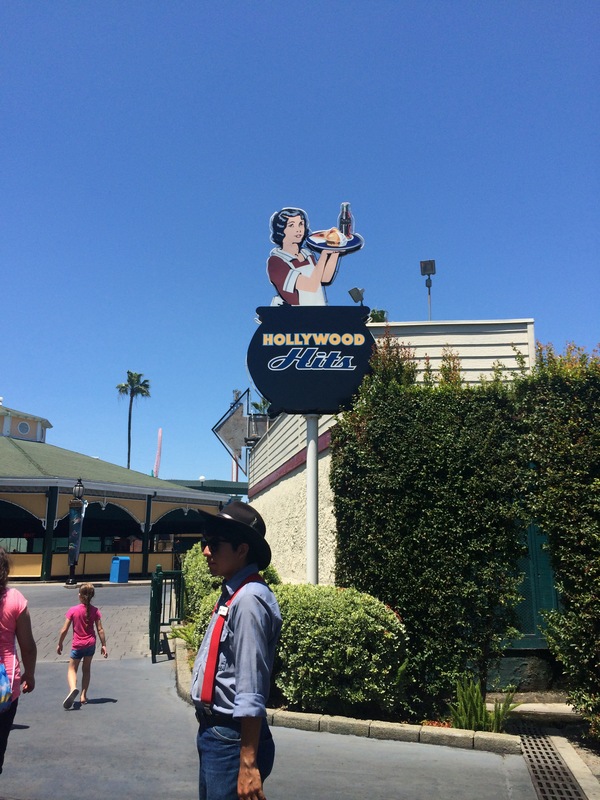 Knott’s is America’s first themed park and one of the most visited locations in the country. It started off as a farm in 1920, but then Ms. Knott created her very own diner, it became popular very fast. The need to entertain guests rose, thus, the park gradually developed as it gained recognition. A couple of decades and dollar bills later, the classic diner is now a well-known American amusement park. I came to Knott’s to celebrate my cousin’s birthday, and we had a blast. There are many rides, games, restaurants, and so much more. One of my favorite sections has to be Ghost Town, it holds such a vintage vibe. There are many different exhibitions you can see, such as a schoolhouse, a haunted museum, a blacksmith shop, and even a theater! Also, the food at any restaurant located in Ghost Town is delicious and holds a “southern theme.” Hint, you may not want to wear fancy clothing as you can become stained with barbecue sauce or whip cream. If you’re not about grubbing or sightseeing, do not worry there are plenty of rides at Knott’s. My favorite is Silver Bullet! It’s smooth, fast, and thrilling. It has many loops, spins, and turns. You may even feel dizzy once you get off the ride, but certainly feel like a champ knowing you conquered it. If thrill rides are not for you, there are smaller rides which are just as fun. The Log Ride is an all time favorite any age can enjoy! If you are bringing smaller guests, Camp Snoopy is the perfect place for these little adventure seekers. Camp Snoopy offers entertainment, rides, and of course desserts! Hold on to their hand, funnel cake is around, and they will probably run to it. Oh did I mention that there are life-sized “Peanuts” characters there too? Yup, Snoopy, Lucy, Charlie and more! Also, if you haven’t heard the news yet, Knott’s made many renovations to the park. They closed down Perilous Plunge to make way for three new rides. There all very fun and kid friendly. A new 4D Ride called “Iron Reef” just opened and it’s a huge hit! It’s like a game and a ride in one. I don’t want to spoil all the fun now, but you defiantly have to come here, the more the merrier. Whether you are a little kid or an elder, Knott’s has something for you, you just have to find it.